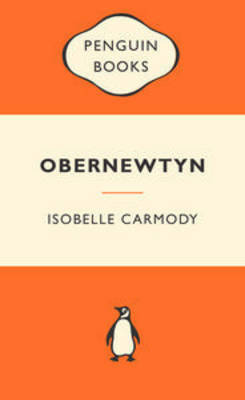 Obernewtyn follows the story of Elspeth, a young girl with psychic powers she must hide from the oppressive ruling regime. It’s a fairly typical dystopian scenario; a nuclear (or similar) apocalypse has destroyed the land, the few survivors have been able to recover by avoiding affected areas, but religious dogma has developed into a fervor, with anyone considered ‘tainted’ ruthlessly eliminated. There are so many other dystopian novels that cover the same ground that it is familiar territory for anyone who enjoys this genre. I liked some of the side characters, there were definitely some unusual ones, and I hope to see them again as I make my way through the series. It is so difficult to know when reading the first novel in a lengthy series like this one what (or who) will become significant in future volumes. But aside from enjoying the overall ‘feel’ of this novel I find it difficult to pin down any aspects that stood out as enjoyable. In contrast there were many aspects of the novel I found frustrating or poorly executed. The plot is plodding, without any real sense of urgency or tension, and the conflict feels painfully contrived. The main character has an overwhelming case of ‘chosen one’ trope indulgence, with her unusual talents, extreme power (without training), and a mystical prophecy spoken of only by animals. If you didn’t realise she was special by 25 pages in you’ve missed the none too subtle clues. Despite all the things I disliked I don’t think this is a terrible novel. It has many qualities that set up for a great series, and the actual writing is fluid and clear. It would especially appeal to teens, or those who are looking for an introduction to the dystopian genre. I’m going to give the rest of the series a chance to win me over, and look forward to seeing how it develops.